The ecommerce web site now features hundreds of handpicked products that the owners have selected. The company runs many promotions and marketing programs, and we’ve worked with them on email marketing campaigns, banner advertisements, and search engine optimization efforts as well as general site improvements. 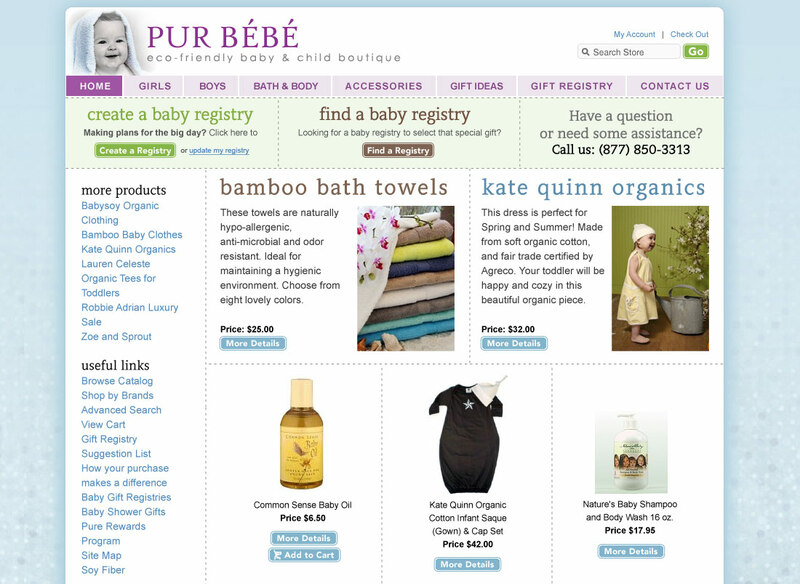 The homepage design for Pur Bebe features products and easy navigation to help customers find what they’re looking for. The home page design. The ecommerce system backend is called ProductCart (learn more at productcart.com). 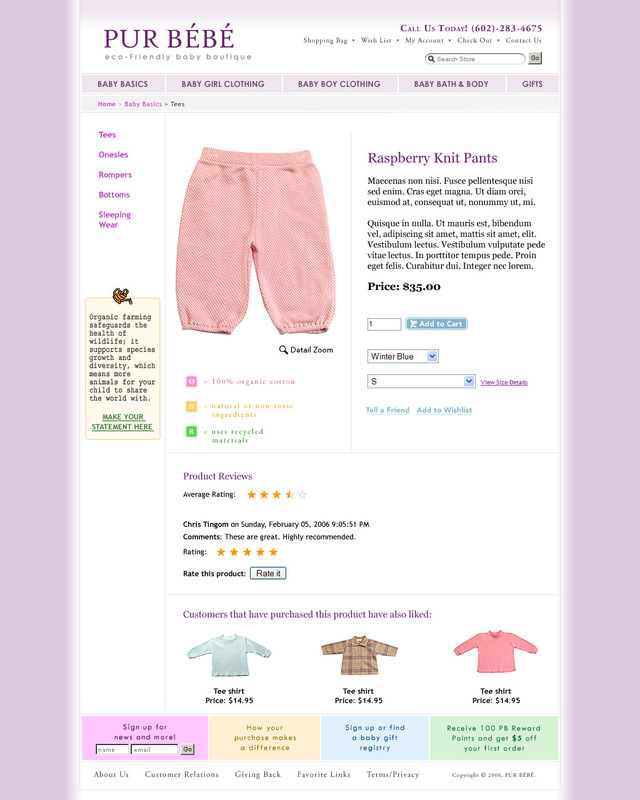 A product detail page showing product info and options.